Fences can take many forms, from solid to open and everything in between. They may be built of wood, vinyl, metal, and/or other outdoor building materials. And their design may run from rough-hewn rails to formal pickets. Depending upon its construction, a fence may keep people in or out of a designated area. In other words, you may want a fence to keep the neighbor kids from chasing baseballs through your backyard. Or, maybe you want a higher degree of security to keep burglars or troublemakers away from your home. Obviously, such a fence should be hard to climb or penetrate. Tall, vertical-board fences and heavy-gauge chain link fences are examples. To prevent children from accessing a swimming pool without supervision, you need a 5 to 6-foot fence with slats or uprights that are spaced no wider than 4 inches so kids can’t squeeze through it. The design must not be such that kids can climb it, and you’ll want to be sure to keep furniture and similar objects away from it. For a pool area, a self-closing, self-latching gate is a must. The latch must be well out of a child’s reach. A lockable gate provides extra security. Fencing must also stand at least 3 feet from the pool’s edge to allow safe passage. Check with your local building department for other requirements. For more information, see Child-Safe Fences & Gates. If you want a fence that will keep your dog in the yard, remember that dogs like to chew, jump, and dig. Plan a height that your dog can’t jump over. Build it from a material that can’t chewed or ripped apart. And consider setting the panels in a ribbon of concrete so your dog can’t burrow under it. The ultimate privacy fence is one that people can’t see over or through, but a tall solid fence often falls short for other reasons. Such a fence can be quite imposing, and can eliminate the views you want as well as the ones you don’t. The key to fencing for privacy is mapping exactly where you want privacy so that you can plan sections or portions that provide visual relief and allow desirable views—for example, louvered or see-through fencing. 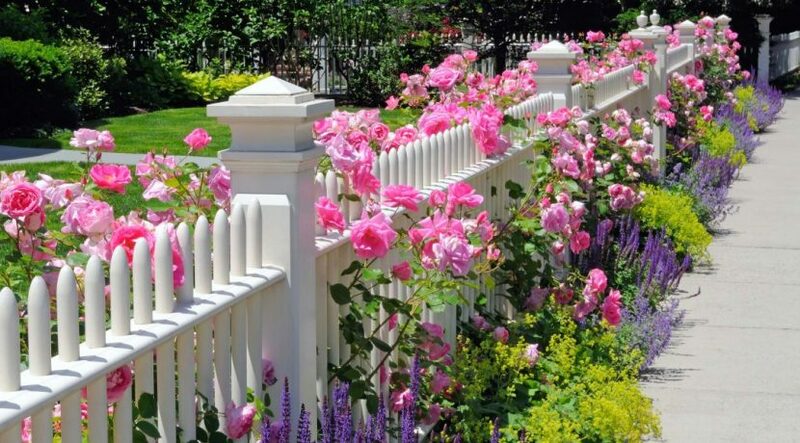 You can also make a tall, solid fence less imposing by staggering panels back and forth or planting vines along it. Fences can delineate areas of a yard, and divide work areas from entertaining or recreational spaces. Tall screens and fences can hide garden work centers, pool equipment, and trashcans. Low or open fences can direct foot traffic through the yard without creating visual barriers. Solid fencing will cast a solid shadow, while latticework or open designs will provide filtered or partial shade. But be aware that the sun’s position in the middle of summer is much higher than in winter—understand the sun’s arc year-around before building a fence to deal with it. For wind control, studies show that solid fencing doesn’t do a very good job of protecting the area within 12 feet of the fence. Wind tends to tumble over the top of the fence, like a wave washing over a boulder. Spaced slats or louvers do a better job of breaking up wind into a series of softer breezes and eddies. The best wind-control designs have a 45-degree baffle at the top of the fence, angled into the wind. For noise, the thicker and higher the barrier, the better. The best noise-blocking fences don’t have spaces between boards—they are solid board-on-board or board-and-batten styles. A solid masonry wall does a better job. Because a fence often runs along the property line or in front of your home, it can affect your neighbors as much as it does you. It sets a tone for both your property and your neighbors’, can impact your view and theirs, and can influence sunlight and breezes. With this in mind, being a good neighbor means designing and building a fence that meets your needs while also honoring the needs of the neighborhood. Weather, insects, and soil will decay most types of wood over the years. The most durable fences have concrete footings, metal posts, and metal rails. Pressure-treated posts and rails are also a lasting choice. The fencing panels may be metal, vinyl, or rot-resistant wood such as cedar or redwood heartwood. 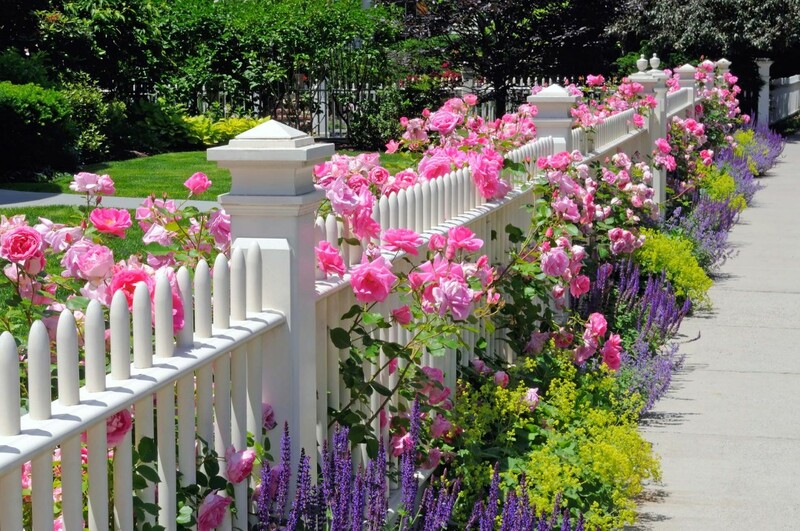 Or, the fencing panels may be made of less expensive wood if they are painted or treated with a hearty stain—but the finish must be maintained. Before you actually build your fence, make a trip (or a phone call) to City Hall. You’ll want to be sure that there are no zoning restrictions or setback rules that would prevent you from building the fence you want. Most communities have strict height limitations and, depending upon where you live, you may also discover design limitations. All rights reserved to the initial publisher for Home tips.